Constructed of sturdy cotton duck, this apron has an adjustable nylon belt to ensure a comfortable fit. 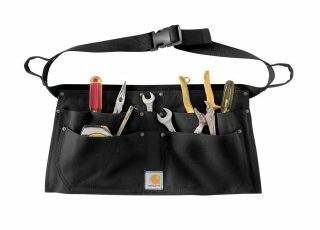 It is outfitted with four large pockets, two smaller pockets, and two tool loops to keep all of your nails and tools close at hand. The pockets are rivet-reinforced for extra strength.